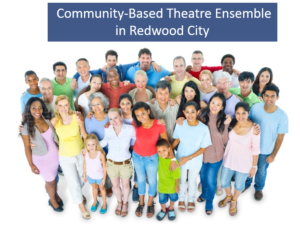 Fuse Theatre’s Artistic Director, Stacey Ardelean is building a Community-Based Theatre (CBT) Ensemble in Redwood City. CBT brings people together as they create meaningful theatre experiences for their community. As part of Fuse Theatre’s Community Ensemble, participants will practice ensemble building, improvisation techniques, play-devising, and performance skills, while developing unique performances. Classes have been taught through the Redwood City Parks and Recreation classes. Participants’ interests will guide the focus of the performance piece. Acting or theatre experience is not necessary – all levels welcome! Ages 16 – Adult. The Fall 2016 and Spring 2017 sessions are now completed. The Fall session culminated with a performance at the Main Gallery in Redwood City on November 17, 2016. Additional auditions for the Ensemble will be scheduled in the near future. For more information, contact us at info@fusetheatre.org. Hedvig is a skilled, purposeful and trilingual actress-performer with extensive experience in theatre and film for more than 10 years. She founded the Teatro Surreal, an independent theatre ensemble in Hungary. 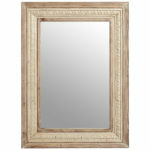 She is new to the Bay Area and very excited to continue to build her career here. Hedvig is keen on to join the Fuse Theatre ensemble and start to work in a creative, enthusiastic environment. Experimenting and expanding the bounderies of the artistic method of the theatre. Isabel is performer, writer, and activist based in San Francisco. She has a degree in Theater from Yale University and has studied at the Moscow Art Theatre in Russia, Shakespeare & Company, and ACT. Favorite theatrical experiences include performing in Wild Boy (Dragon Theatre Productions), working with Clowns Without Borders in South Africa, and doing stand-up around the Bay. Her passions lie in mental health awareness, women’s equality, and working with children. Allison is an actor, director, dancer, and arts educator who has performed with numerous companies along the California coast, including SF Shakespeare, Studio ACT, South Coast Repertory, Panndora Productions, Flux Theatre, and Brown Bag Theatre. 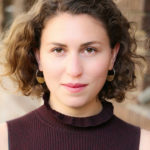 In addition to educating young performers at Hillsdale, Allison has directed and trained actors at School of the Arts in San Francisco, Spindrift School of Performing Arts, and Crocker Middle School. Favorite directing credits include The Addams Family, In the Heights, Little Shop of Horrors, The Laramie Project, Urinetown, The Princess Bride, Fiddler on the Roof, and most recently, Stage Door. 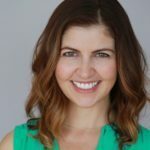 A Bay Area native, Allison has studied acting, directing, and dance at A.C.T., UC Santa Cruz, San Francisco State, and South Coast Repertory and is still active in the theatre, commercial, and film industries and is the narrator of The Payless Murders podcast. In addition to directing and teaching Drama, Allison also teaches Video Production and serves as Hillsdale’s Wellness Facilitator and VPA Department Co-Chair. Jane is a playwright and actor who believes that theater has the power to make change in the world and bring people together. Her play, Dear Texas,inspired by interviews with transgender and gender non-conforming people across the country, premiered at The Flight Deck in Oakland and at the inaugural Your True Gender conference at Cal Poly in San Luis Obispo in 2015. She recently performed in a YouthAware show at the New Conservatory Theater Center in the play Real Talk! which taught a curriculum on HIV/AIDs prevention and making healthy choices to thousands of Bay Area students. Jane currently serves as the House Manager at Cal Shakes. Jane is thrilled to join the Ensemble at Fuse Theater and to be a part of a community that makes it possible for others to share their stories and the joy of theater. 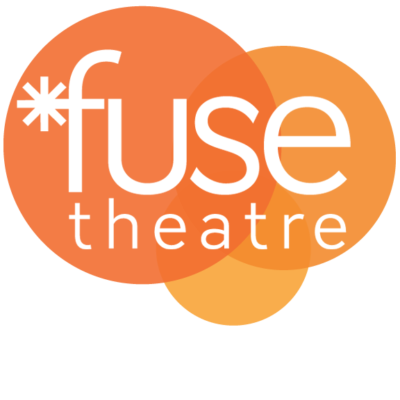 Fuse Theatre is looking for additional members of our Community-Based Theatre Ensemble. Previous acting or theatre experience is not required. If you’re 16 or older and have an interest in joining the ensemble, please contact us at info@fusetheatre.org.